"For You" by Elephant Parade. "Sleep Till They Die" by La Luz. 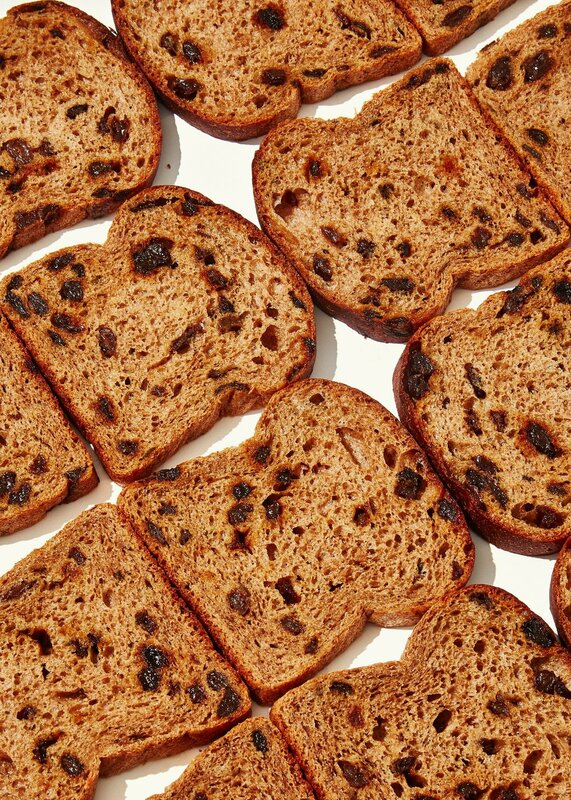 Shameless self promotion — This Cinnamon Raisin Bread Did More for My Love Life Than Tinder. That tousled hair really does make one feel a certain way — Timothée Chalamet Made Me Do It. Comfort Foods for Discomfiting Times — Chicken Pot Pie "Make one the size of a baby elephant, crawl inside, and shelter in place until science makes a comeback." This week was a serious carbohydrate extravaganza. I ate so many of the most delicious things. On Wednesday, there was a catered work lunch by Gordon Savory and The Good Batch bakery. I ate half of a roasted chicken caesar sandwich (roasted chicken, caesar dressing, parmesan, bread crumbs, aioli, seeded polenta bread), half of a warm burrata sandwich (burrata, roasted winter squash, parmesan, basil, pickled chili, toasted sourdough focaccia), some sweet and sour Brussel sprouts, and some seasonal farro salad. Wow. It was all delightful. Plus, I sampled the Chocolate Impossible Cookie (almond flour, gluten-free flour, cocoa powder, loaded with dark chocolate chips and chunks), the Sophisticate Cookie (oats, currants, pistachios and dark chocolate), and an oat strudel jam bar. I stopped myself from sampling the array of cookie ice cream sandwiches, but I know I'll have to go visit both shops in the future. 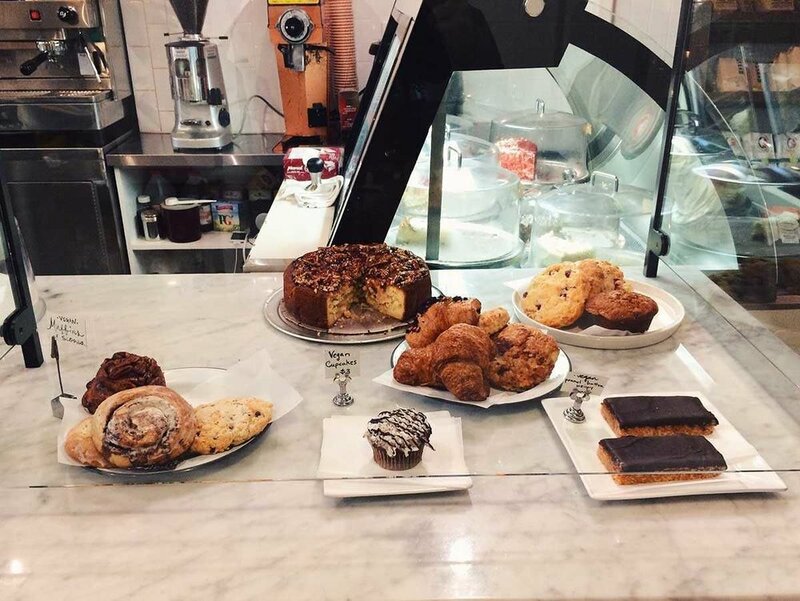 I also got to experience the sheer joy and option overload of Café Altro Paradiso’s second-annual Bake Sale to Benefit Planned Parenthood. From what I can recall from the pastry blackout: a savory ricotta onion scone from Reynard Restaurant, an apple galette from Poppy's, one of Alison Roman's salty chocolate chunk shortbread cookies, a fudgy coconut brownie from the Smile, a walnut raisin sourdough loaf from Sullivan Street Bakery, a fig and smoked white chocolate oatmeal cookie from Otway, a peanut butter and jelly and a chocolate chip cardamon cookie from I don't remember, a sweet potato sourdough roll from Hemlock, a corn cookie from City House Nashville, and wow wow wow. Are you disturbed or jealous or both? My favorite things I wore this week: a cropped paisley button up, tan Sven clogs, red ankle boots with gold studs, sparkle socks, a denim jacket and my X and O earrings. Golden sparkles is a good theme. 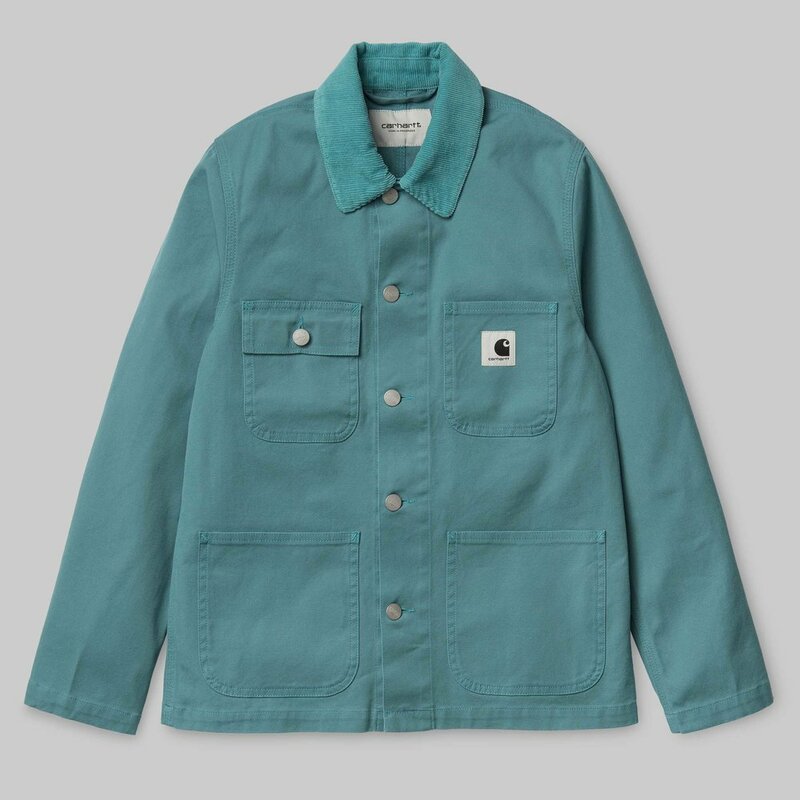 I now want all the Carhartt Work In Progress clothes, particularly the teal and rose and dusty blue jackets and pants. Movies: A Quiet Place. Terrifying, endearing, and captivating. John Krasinski should feel proud. "a nerve-shredder. It’s a movie designed to make you an active participant in a game of tension, not just a passive observer in an unfolding horror." 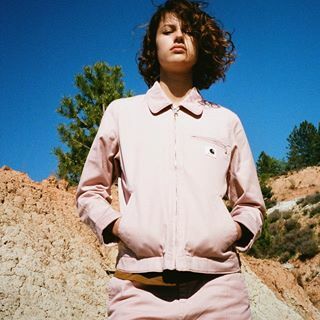 — R.E. Also watched 6 Balloons. "Over the course of one night, a woman drives across Los Angeles with her brother, who is addicted to heroin, in search of a detox center." It had so many people I admire and enjoy on screen (Abbi Jacobson, Dave Franco, Jane Kaczmarek), but I didn't love it. 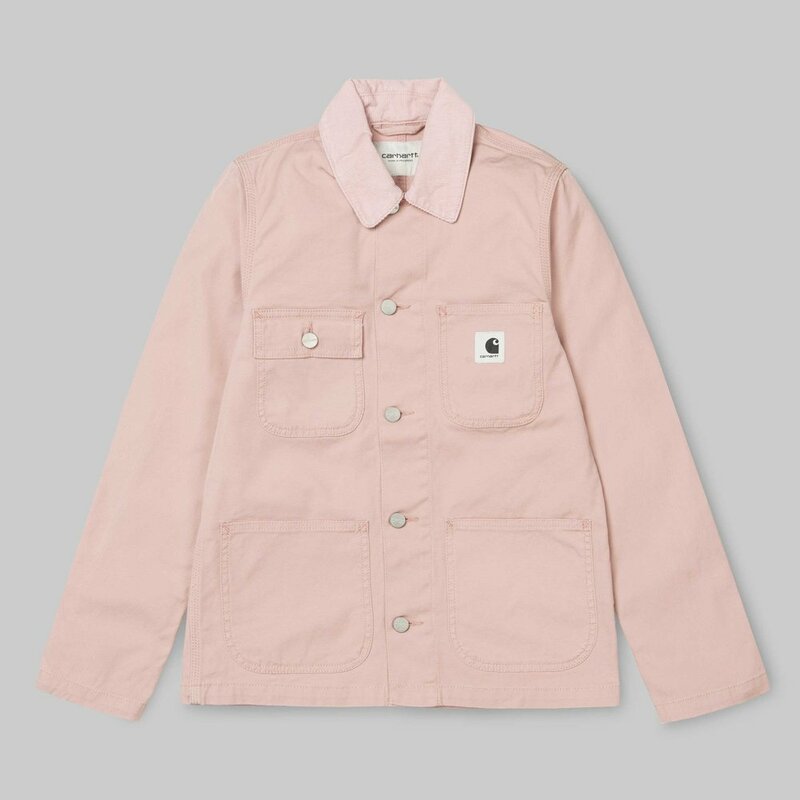 It felt like it was missing something. TV: Watched Barry. Satisfied and entertained, though not the same anticipatory nature as other HBO hits like Westworld or Insecure. Saw two more episodes of The Characters on Netflix starring John Early and Kate Berlant. Riveting and emotional and embarrassing aka HIGHLY recommend. It's fun to see how various comedians take the open-ended constraint of 30 minutes to do and play whatever they want. Writing words: I felt so excited to put out some personal words for Bon Appetit's Healthyish aside from simply writing about sales and gadgets. My coworkers had really nice things to say. I feel like I am inching toward getting good at this. Now I just need to get back to more journaling too — though I think that is roughly what this has become. This week is brought to you by overwhelming loneliness, too much sugar, really nice weather, and general life confusion. "Dancing In the Dark" by Bruce Springsteen. Prepare yourself for Bruce's outfit and dance moves, wow! "Stoner Hill" by Brian Blade + The Fellowship Band. Make sure to listen to Brian speak at the end, his happiness—"there's not thoughts of other things in these times..."
"Dirty John" a podcast from the LA Times. I've been blowing through podcasts as I walk for hours through Brooklyn. I just started this one—A true story about seduction, deception, forgiveness, denial, and ultimately, survival. Reported and hosted by Christopher Goffard.—I'm about halfway done and it is disturbing and fascinating. If you like S-Town or Serial, this is similar. 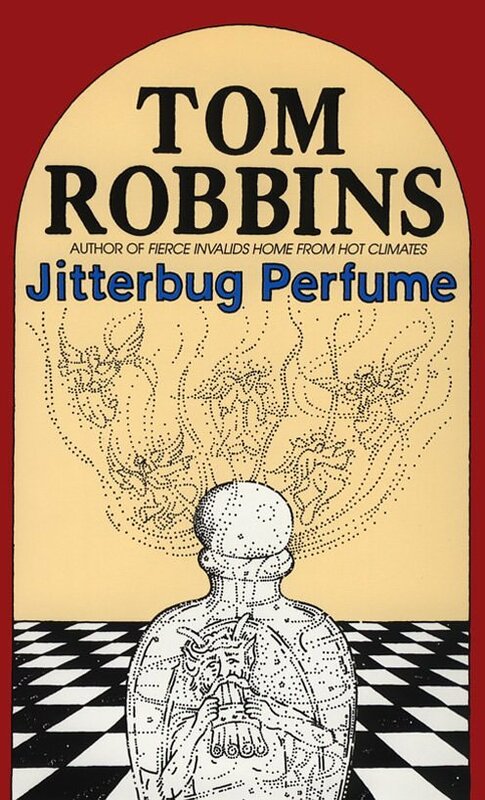 "Jitterbug Perfume" by Tom Robbins. I went in search for "Still Life with Woodpecker," but this was the Tom Robbins selection in two different book stores, so I took it as a sign and bought a nice worn copy. Widely considered a cult classic and one of the "Best books of the 20th century," I'm excited to dig in. Robbins knows his way around wild ideas and words. Trivia: His dog's name is Blini Tomato Titanium and his sons have the names Rip, Kirk, and Fleetwood. I'm calling him when I get another pet or have a baby. Some good 1984 graphic design. I can't stop going to Cinnamon Girl. I've tried the monster cookie, breakfast cookie, apple bran muffin, double chocolate chunk cookie, and Brooklyn blackout cake. I should start avoiding that side of the street when I walk home. I've also become a big fan of Silver Rice, a simple and delicious Japanese eatery. I've had their special rice cup a couple of times (flaxseed rice, pumpkin, kale, salmon, cucumbers, avocado, spicy mayo) and tried a couple different soups (a kabocha squash and a miso broccoli rabe and quinoa). All the rice and soup and hearty desserts have been soothing on my stomach through a short bout of food poisoning and a constant bombardment of anxiety. Pants! It's been so long since I've reached for pants on a daily basis. I keep going back to the same pair of blue jeans and black slacks with a tiny quotation mark print. Back and forth and a rotation of black tee-shirts. I've also been wearing socks on a daily basis (Florida summer made me really neglect my sock drawer). Stripes, black, and artichoke print have been the rotation. This movie was just what I needed last Friday night. Maggie (played by Greta Gerwig) reminded me of myself, for better or worse. Some New York shenanigans and life confusion and hilarity. The cast too—Ethan Hawke, Bill Hader, Maya Rudolph, Julianne Moore... a wonderful story of comedy, chaos, and love. Maggie Harden, a director of business for the art and design students at a university, decides she wants to have a child and enlists a former college acquaintance, Guy Childers, a former maths student to donate his sperm. Guy is a "pickle entrepreneur." The telephone and faraway friends. This week I watched "This Is Us" while on the phone with a friend. We synced up the episode and pressed play at the exact same moment. It was wonderful to keep up a weekly tradition—to awww and laugh and cry together, even hundreds of miles apart. Talking to my mom on a particularly rough day and then on a much better day was great. I loved hearing my dad's uproarious laughter in the background. Plus, I heard my boy Oliver meowing and I was tempted to FaceTime with him. There have been moments this last week when my feet ache from the miles of walking, but the air felt so good, and I'm teetering between being okay or not—ring ring!—a voice of familiarity and comfort! Thank you! I get to step out of my head and talk about life and feel connected to great things.